The creative economy is often ineffectively defined by the creative skills/talent: media, film, design, music, visual art, etc. However, those are arguably just the means, and what’s overlooked are the cultural products that result from a convergence of those creative skills. Now that’s what the creative economy is about. 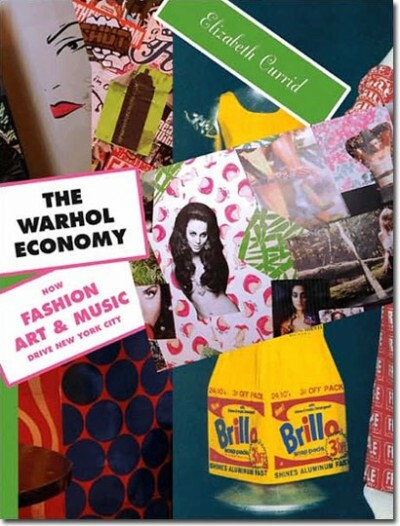 To understand in greater detail how creatives with talent transform their skills into cultural products that grow an economy, you’ll want to read Elizabeth Currid’s The Warhol Economy, and her accompanying article, The Economics of a Good Party. Elizabeth happened to be a key writer on Richard Florida’s Rise of the Creative Class. 1. The commodification of culture. It’s how the environmental movement is represented by bicycles, Priuses and organic groceries, hip hop by clothes, and authenticity by the rise of indie music artists, films and coffeehouses. 2. The symbiotic nature of creative exchange. Musicians don’t work in a vacuum from filmmakers and visual artists, they work together on a regular basis. Thus, separating the creative industries by music, film and design is like defining the housing industry by carpenters, masons and electricians, which is fine for learning skills, but does little for the creation of whole products people truly want. 3. Creative review across the cultural economy. This follows the ‘make everything available than help me find it’ principle of the Long Tail. In today’s ultra-connected world, people are even able to tell us what product should be created that doesn’t yet exist, from where it’s up to the creative industry to figure out how to combine their creative skills in order to produce.